Deputy Chief Justice Dikgang Moseneke, Reflections on South African Constitutional Democracy – Transition and Transformation, Keynote Address, Mistra-Tmali-Unisa Conference, University of South Africa, 12 November 2014. 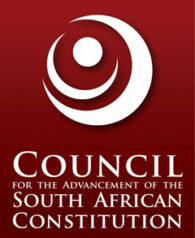 Adv Geoff Budlender SC, People’s Power and the Courts, Bram Fischer Memorial Lecture, 11 November 2011. Justice Kate O’Regan, A Forum for Reason: Reflections on the Role and Work of the Constitutional Court, Helen Suzman Memorial Lecture, Johannesburg, 22 November 2011.